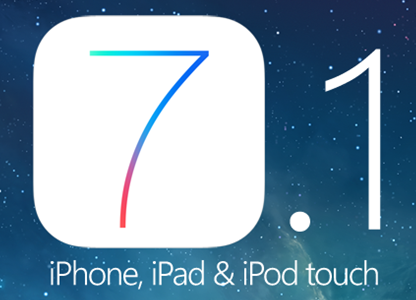 Apple has officially started to seeds a new beta series of iOS 7.1 for iPhone, iPad and iPod Touch devices to iOS developers and non-iOS developers (general-users) worldwide to provide stability and remove performance issues/bugs with latest iOS 7.1 Firmwares (Build: 11D5099e). It is expected that Apple iOS users will get more beta firmware updates of iOS 7.1 in future also before the final released i.e. iOS 7.1 Beta 2, iOS 7.1 Beta 3, iOS 7.1 Beta 4 etc. etc. If Apple iDevice users are running old iOS Firmwares i.e. iOS 7.0.4/7.0.3/7.0.2 etc. will be able to upgrade/update their old firmwares on latest iOS 7.1 Beta 1 Firmwares via Official Direct Download Links of iOS 7.1 Beta 1 IPSW Firmware for iPhone 5S, iPhone 5C, iPhone 5, iPhone 4S, iPhone 4, iPod Touch 5G, iPad Air 5G, iPad 4G, iPad Mini, iPad Mini 2, iPad 3G and iPad 2G available below and users can manually install iOS 7.1 Beta 1 Firmware (Build: 11D5099e) using iTunes. If you're an Apple iOS developer having iOS Dev Center account than you can get iOS 7.1 Beta 1 from Apple's official website and if you're non-iOS developer (general-user) than you can follow below direct download links.